“Osteoarthritis is the single most common cause of disability in older adults” (World Health Organization). In the United States alone, there are currently more than 30 million individuals living with osteoarthritis, 7.2 million individuals with hip and/or knee replacements, and 500,000 individuals per year having back surgery related to degenerative and osteoarthritic changes. 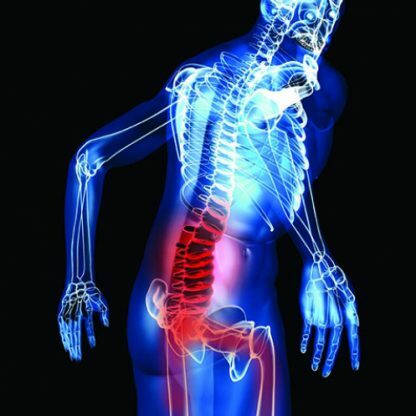 Many of the individuals presenting to fitness professionals will be experiencing issues – chronic tightness, discomfort, and/or loss of ability to do the things they want and/or need – secondary to spine, hip, and/or knee osteoarthritis. Additionally, there is a massive need for informed and qualified fitness professionals to work with individuals that have spine, hip, and/or knee osteoarthritis to help them successfully accomplish their health and fitness goals. Audiences around the world have heard Dr. Osar’s dynamic presentations. Dr. Evan Osar is an internationally recognized speaker, author, and expert on assessment, corrective exercise, and functional movement. He has authored Corrective Exercise Solutions to Common Hip and Shoulder Dysfunction, Functional Anatomy of the Pilates Core, The Psoas Solution and Amazon #1 Best Seller The Pain-free Exercise Blueprint. He has developed the industry’s most advanced training certifications: Integrative Corrective Exercise Instructor™ and Integrative Movement Specialist™. With his wife Jenice Mattek, he created the Institute for Integrative Health and Fitness Education™, an on-line educational resource for the health and fitness professional that specializes in working with the general and older adult populations.